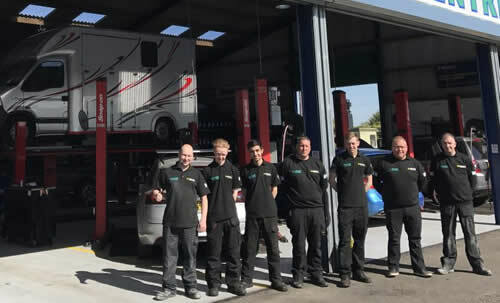 HomeCar Servicing FAQ'sWhy Service Your Car? Why service your car? Servicing your vehicle is not a legal requirement, but there are some very good reasons why you should get your car serviced regularly. Regular servicing helps to identify potential problems early. It makes sure essential checks are carried out to critical components of the vehicle, such as the braking system and suspension. If these vital parts let you down, then it could cause a serious accident. Wear and tear increases on the parts of your car as the miles clock up. This deterioration is often hidden out of sight, so you may not see or feel the gradual change. Regular servicing gives you peace of mind that the vehicle is in a roadworthy condition. It is false economy to try to save money by skipping servicing. Regular servicing identifies issues early that later are even more pensive to correct. If your engine oil is not properly lubricating and protecting the moving parts inside the engine, it could seize up and cost thousands to repair. Our services include checks of the engine oil and when needed, it is replaced with fresh oil specifically designed for your vehicle. Regular servicing also saves you money on fuel. New oil and air filters make your engine run more smoothly. This, plus issues such as under-inflated tyres can significantly improve your fuel consumption. Failing to service your car increases the risk of suffering a breakdown. That will be both costly and inconvenient. Regularly servicing your car undoubtedly improves the lifespan of the vehicle. The better it is treated, the longer it will last. Regular servicing is critical if you want to enjoy years of trouble-free motoring. The second-hand market is competitive, and buyers expect a lot for their money. A car with a partial – or even better a full-service history – will attract more buyers and achieve a higher selling price. For a free Ellesmere Port car repairs quote or Ellesmere Port car servicing quote just give us a call or pop in.